With summer over and autumn well and truly here, it won’t be long until we start to see the snow and freezing temperatures of winter that leave us all shivering. When it’s cold outside, all most of us want to do is shut out the world and curl up inside our lovely warm homes. Unfortunately, with energy prices on the rise, it’s getting more and more costly to keep our houses at a comfortable temperature. Rather than pay through the nose, here are a few unusual ways to heat your home. On a freezing cold day, instinct tells you to keep your curtains closed to stop heat from escaping. Unfortunately, what you’re actually doing is blocking out the natural warmth of the sun. With that in mind, you should keep your curtains open during the day instead and let the sunlight shine in. That being said, you may want to invest in thicker curtains for when the sun goes down again. When the weather is cold, ceiling fans are probably the very last thing on your mind, but they can actually cut down your energy bills and keep your home warmer. For this reason, you may want to head to a site like www.modernfanoutlet.com/best-ceiling-fans/minka-aire-fans.html and grab one of your own. Once it arrives, you should click the reverse switch to create an updraft. Hardwood flooring looks absolutely beautiful and can offer feet a pleasant cool feeling during the summer. Unfortunately, during the winter, this feeling goes from pleasant to horrific. Because of this, you should cover up some of your floors with a soft, cuddly rug. This will prevent heat loss in your home, make walking around barefoot more comfortable, and add some style and color. Your bed always seems like the warmest and coziest place in your home, but that may not necessarily be the case. Depending on the bedding you choose, your bed might actually be a lot colder than it should. Thankfully, you can make the space a lot warmer with some better sheet choices. Instead of cotton, consider flannel options, like these at www.thespruce.com. The whole point of your radiators is to heat the rooms in your home, and not the house itself. Unfortunately, yours may not be doing a very good job of this, by allowing heat to escape into the walls. To prevent this, you should put some tin or aluminum foil on the wall behind each of your radiators. This will reflect heat back into the room, keeping your home a lot warmer. Without double glazing, your windows can waste a significant amount of heat throughout winter. Thankfully, there is a remedy for this. Although it isn’t particularly attractive, placing bubble wrap over all of your windows will create a similar effect to the double glazing your home is lacking. This will insulate your home, prevent heat from escaping, and keep you warm. 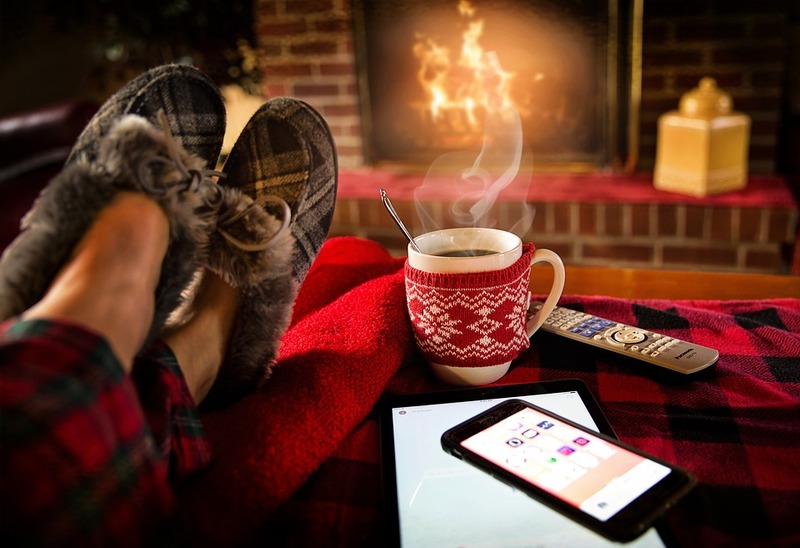 Keeping yourself warm throughout winter can get expensive, but with these unusual methods, you should be able to save some money.